The public-facing component of The Cheesemonger Invitational is a dairy bacchanalia where ticket-buying attendees can consume their weight in unlimited cheese. But behind the scenes at the bright, industrial space on the Brooklyn waterfront, the pros have come to compete. The passion is truly universal. How Well Did The Belmont Stakes Crowd Know Triple Crown History? The crowd at the Belmont Stakes was an uneven split between people who were just there to party and horse racing die-hards who make up the entire population of the Park the other 51 weekends of the year. On the morning before Justify won, we talked to representatives from both groups. Are These The Names Of Real Race Horses Or Just Nonsense Phrases? If you’re a millionaire race horse owner who reads Deadspin, please consider yourself welcome to use any of these fake names for your next foal—with credit, of course. Cal State Fullerton lists freshman Jace Chamberlin—not “Chamberlain” and no relationship to Joba, that I can find record of—at 6-foot-4 and 240 pounds. 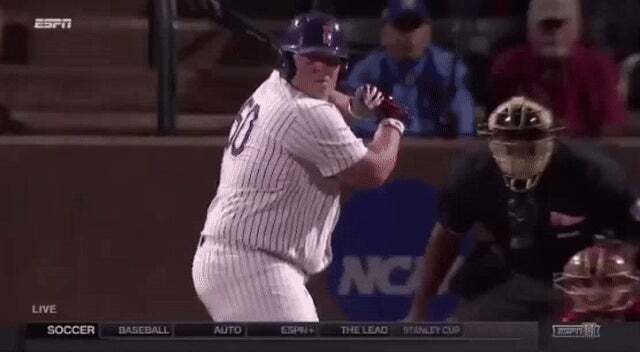 The Los Angeles Times writes that he “got the nickname ‘Jumbo’ earlier this year on a trip to New Orleans due to his affinity for jambalaya.” Emphasis added. They both make some good points. Don’t let the chest, arm, and shoulder strength distract you from the physical marvel that is his fingers not snapping under the stress. Among the crowd that watched Persepolis top Sepidrood Rasht, 3-0, in Tehran last week was a group of six female fans who disguised themselves as men in order to get into Azadi Stadium. Over the weekend, the World Surf League officially crowned Brazilian surfer Rodrigo Koxa the new record-holder for the biggest wave ever surfed. He successfully rode an 80-foot wave off the coast of Portugal in November to overtake the previous record of 78 feet, set in 2011. Don’t litter; it arms the wildlife. Varsity Blues works as long as you don’t think about it too hard. Which, I readily admit, probably means it works exactly as well as intended. Umpire Jerry Meals is five feet eight inches tall. This is a perfectly respectable height, and one that has not kept him from achieving what we can presume was his lifelong dream of being a Major League umpire. Jerry Meals has made it.